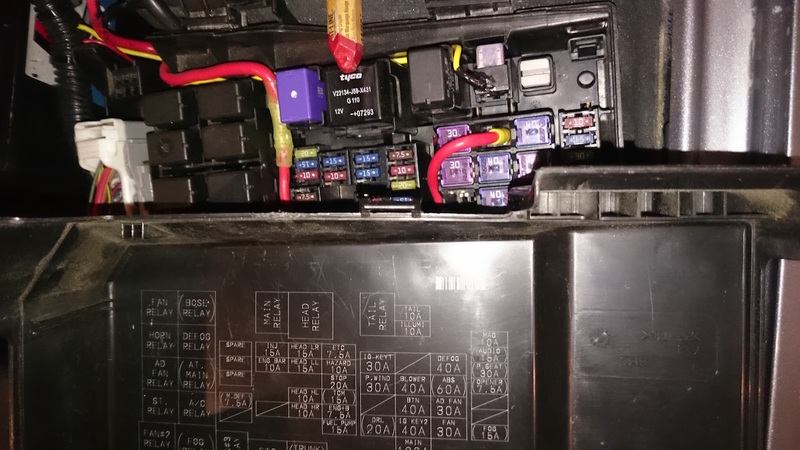 Mazda 6 Forums : Mazda 6 Forum / Mazda Atenza Forum > Technical / Performance / Model > Mazda 6 1st Generation (2002-2008) > Electrical / HVAC > Did I Blow Up My BCM or Something Else? Did I Blow Up My BCM or Something Else? Turn headlight switch to running light position: The relay clicks like normal and turns off after 30 seconds like normal. The dashboard lights come on like normal. NO exterior lights come on at all. Turn headlight switch to low beam position: Same thing, except low beams come on. Turn high beams on: Same thing, except high beams come on. The hazards work just fine front and rear. The reverse lights work just fine. I found the BCM (behind the driver's footwell fusebox.) I pulled it out and opened it up - there was no burning smell, blown traces, or other obvious damage. I also tried swapping the headlight relay with the (unused) foglight relay and that didn't help either. After a bit more digging, it sounds like I probably damaged the auto-light off control module. All I can find out about where this might be is "left side of the dashboard by the steering wheel." I can't find it for anything. Does anyone know where it is, have a picture of one, or know if I replace it, is it plug and play or does it need programming by a dealer? Thanks. Turns out the windows are actually OK (forgot I had to reset them since the battery had been disconnected.) Nobody has any ideas on the parking lights problem? Where did you find the headlight relay at? I have tried searching online everywhere and can't find the location. Cool! Thank you for that! I thought I had checked that but I will double check again. By chance do you know if the BCM is plug and play? Does it require to be reprogrammed at a dealership?